Japan, the country that gave us the dancing robot, umbrella-tie and automated hugging machine, is also a big fan of a few unorthodox dishes. 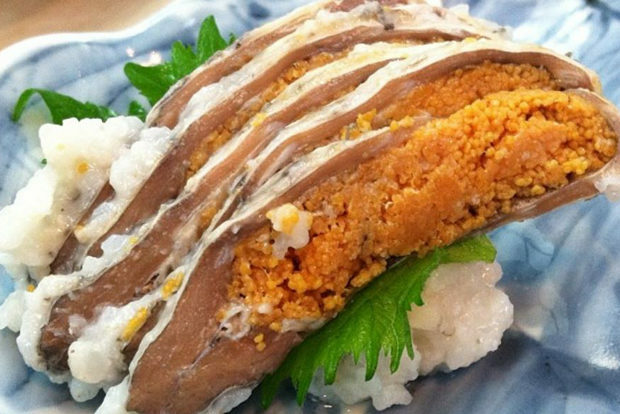 These 13 in our list prove that Japanese food is insane, or at least for the most part, a bit weird. This one’s an easy start for you. 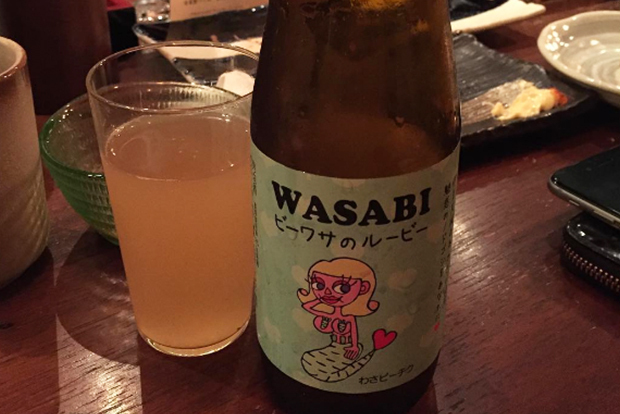 A wasabi kick in the face for the world’s most loved drink. 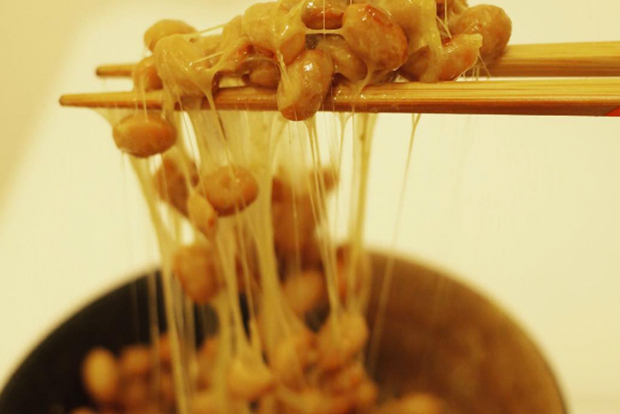 This “delicious” Japanese snack of fermented soybeans might look like innocent exotic baked beans, but beware! Many visitors who have tasted, or even been in the presence of this aged concoction, warn of its reeking scent of rotten cheese and snot-like consistency. Fast food is a little different in the land of the rising sun – they tend to like things a little more monotone. 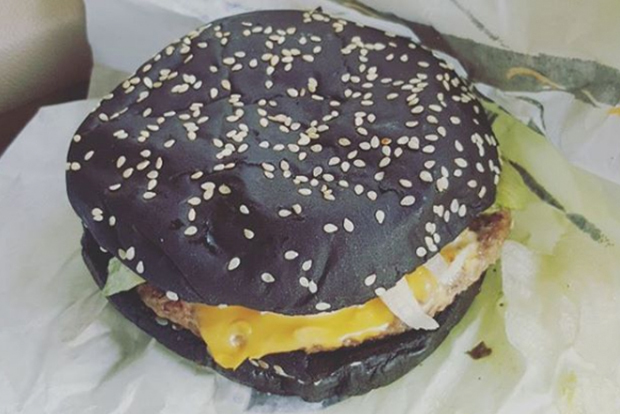 An all-black burger made with squid ink is a perfect cheap eat. Well, without fries and a medium Coke. The Japanese love a bit of this. 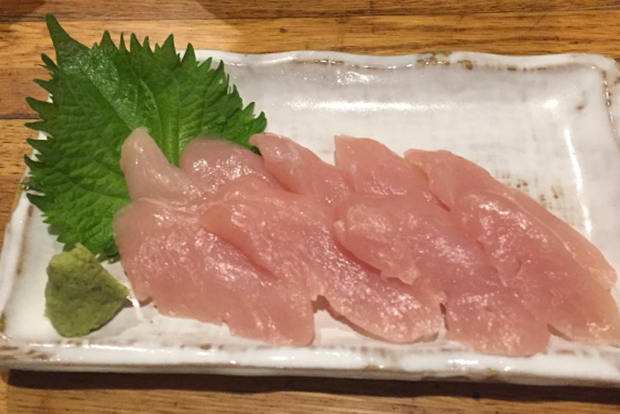 While we, the rest of the world, might just about brave a tuna sashimi, they go full out daredevil with fully raw chicken. That can’t be safe! 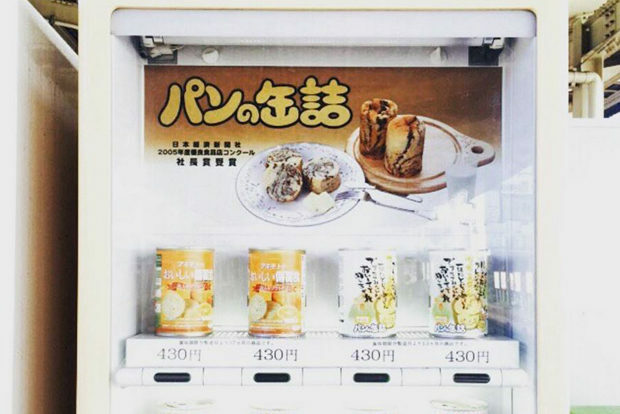 The vending machine is the most beloved invention in Japan. It’s used everyday for everything, and that’s not an overstatement. So having a bit of bread handy 24/7 is the key to living prepared for anything, Japanese style. Now this stuff is so insane, that chefs need a license to prepare it. A pufferfish has enough poison to kill 30 adult humans, yet the Japanese like to again, live life on the edge and snack on this as a tasty lunch treat. Chefs only serve the “non-poison flesh” part of the fish, but there have been cases of costly mistakes, with only a drop of its toxin needed to seriously put you in danger. Apparently it tastes of rubber and makes your lips numb. Yum! All jokes aside for this one. 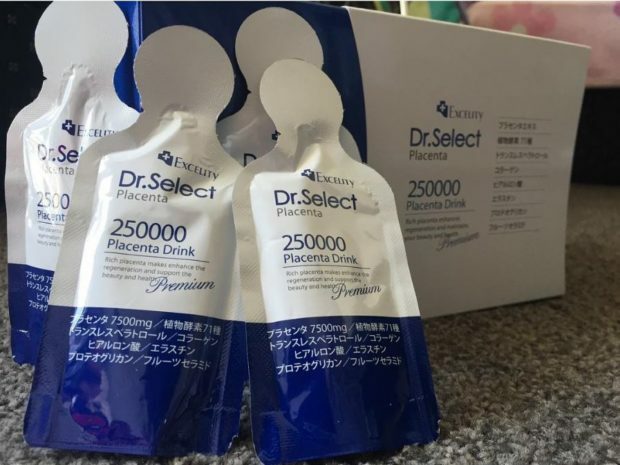 This is a real drink, made from blended pig placenta. Good for the skin, apparently. 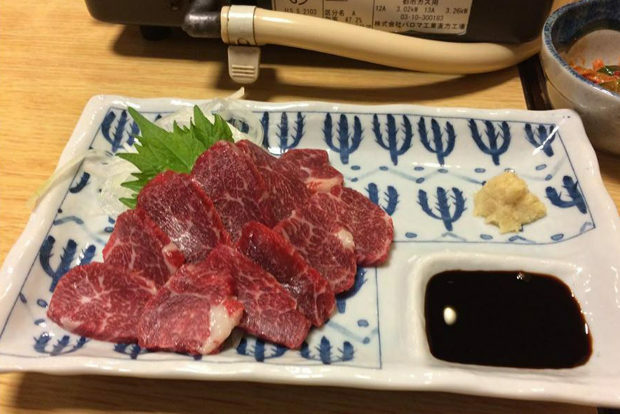 By the looks of it, the Japanese are big fans of raw meat and fish. Maybe it’s the risk? Or the purity? I don’t know. But hopefully horses don’t get along with salmonella as much as the chickens! A popular snack at Izakayas, a type of bar in Japan which serves drinks and fried/skewered meats. The cartilage is something we, the west, would typically quite happily throw away, being the nasty bits between the flesh and the bone. 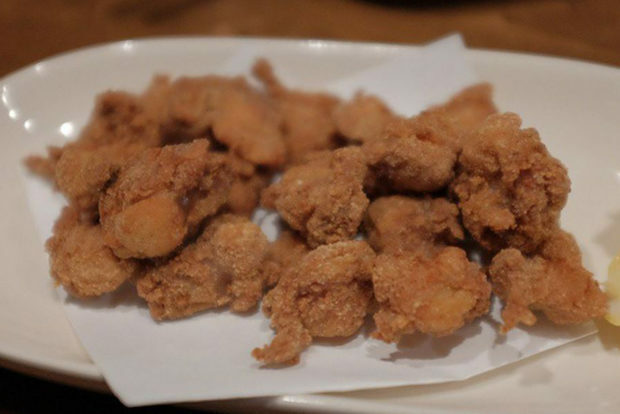 But apparently it’s edible, and can even be a tasty treat when breaded and fried Japanese style, especially after a few beers. The Japanese are somewhat obsessed with curry. 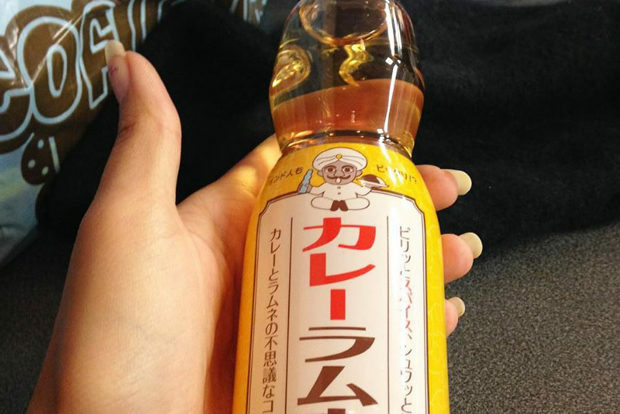 With fried chicken curry (katsu kare) being a popular twist on the Indian classic, the curry soda is instead a far more niche product to come out of Japan, less loved by its country. It does not taste good apparently, though many major supermarkets still stock it anyway. 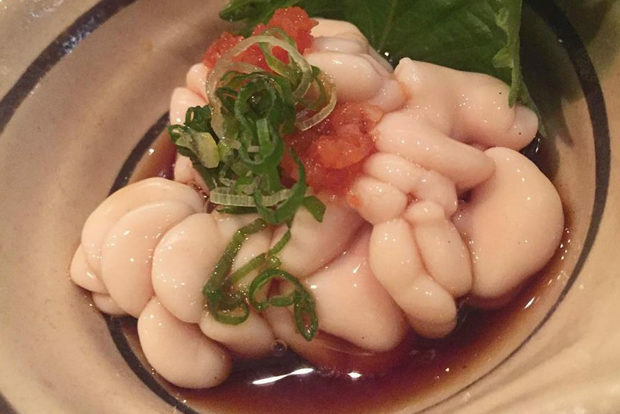 Sacks of cod sperm is an elegant eat over in Japan. Shirako translates directly as “the white children”, and I suspect many a tourist has gulped down on a few of these without knowing the sinister secret. Never trust a restaurateur who recommends a special delicacy, whilst laughing to himself and opening up a suspicious pouch of oddly shaped, pastier tofu. 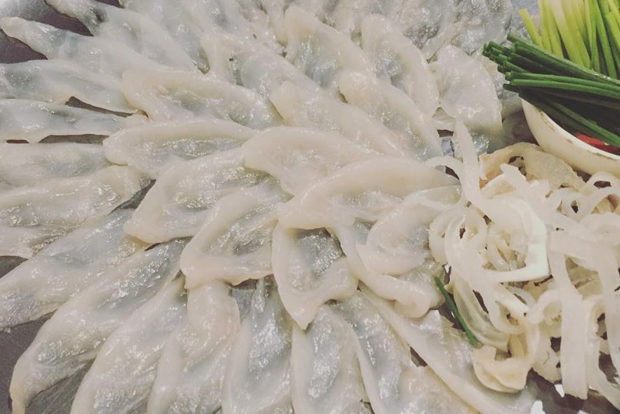 This is one of the oldest and most traditional dishes on this list. Food that’s been fit for emperors and samurai for thousands of years. Three-year-old fish. It’s effectively rotten and has a stench that rivals the Natto. Although, it is a heavily respected and cherished delicacy, and like a recurring theme in this article, it’s safe to eat. Probably. Whilst this squid looks very much alive, it’s not. The squid’s dancing reaction is an automatic response to the sodium in the soy sauce which wakes up the nerve and muscle cells in squid’s tentacles. Shake a leg squiddy, you might make it to the dance floor one day. Planning a trip to Japan? Check out our blog post Things I wish I knew before visiting Japan for some valuable information. Which of the dishes on this list would you most like to try? A writer new to the game. West London born and bred, he loves travelling, eating, and exploring the slightly weirder things in the world. The Asian obsessive, Japan, Singapore, Hong Kong and Vietnam are among his favourite places.